Most people have been thinking for some time about taking up dancing before they actually try a class. It can seem quite daunting at first but all it takes is literally a few steps. Now is the time to do it. Don’t put it off as you are missing out on all the fun. 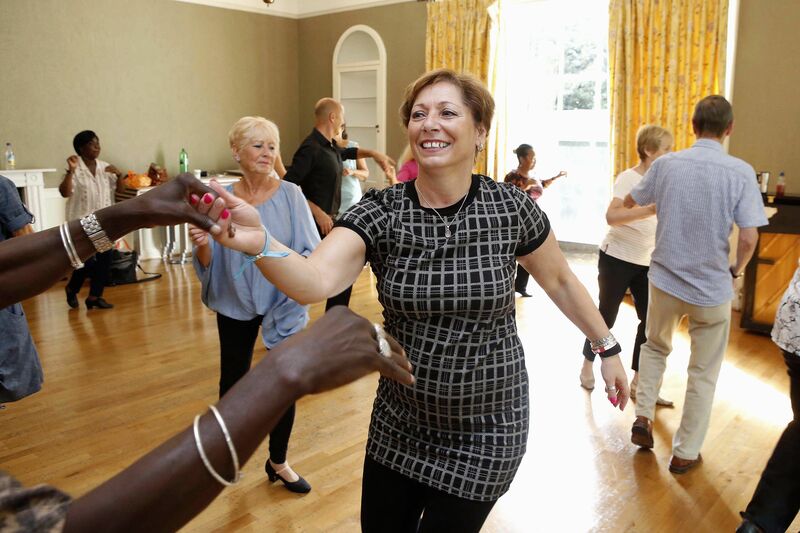 We run regular Thursday dance classes in Ballroom and Latin at St Stephen’s Church Hall (New Venue: 7.30pm – 9.30pm: Beginners starts at 7.30pm followed by improver’s class at 8.25pm, both include practice time), Park Avenue EN1 2BA. Monday dance classes are at St Judes School, 7.30pm-8.30pm, Bagshot Road, Englefield Green, Surrey, TW20 0RU (park in the staff car park and come in through the corner door of the main hall). Runs during term time. Always check before attending. We also teach three Enfield Council classes on Friday mornings. These places fill up fairly quickly. You can book via Active Enfield and search for the class. Thursday and Monday classes do not need booking although you can book through this website if you prefer. Please see bottom of Home (1st) Page for all class details. Always read ‘What’s On!’ to confirm holiday times (eg Xmas) or phone to check. Other events, monthly dances and workshops are listed on ‘What’s On!’ – see menu above. All classes are very sociable and start from basics assuming no prior knowledge but include important styling techniques for the developing dancer. Please confirm all class times before attending. We teach Ballroom and Latin to the prestigious and widely recognised ISTD syllabus and enter people for medallist exams.